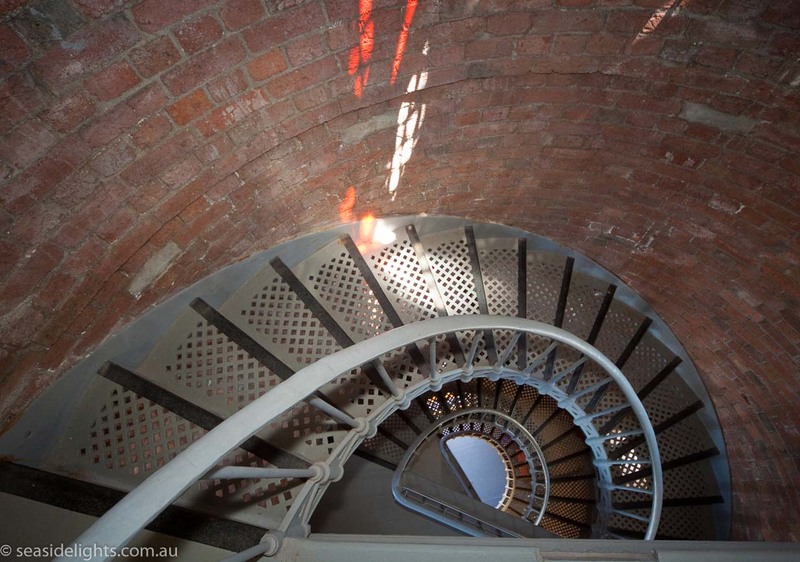 Table Cape Lighthouse | Lighthouses of Australia Inc. 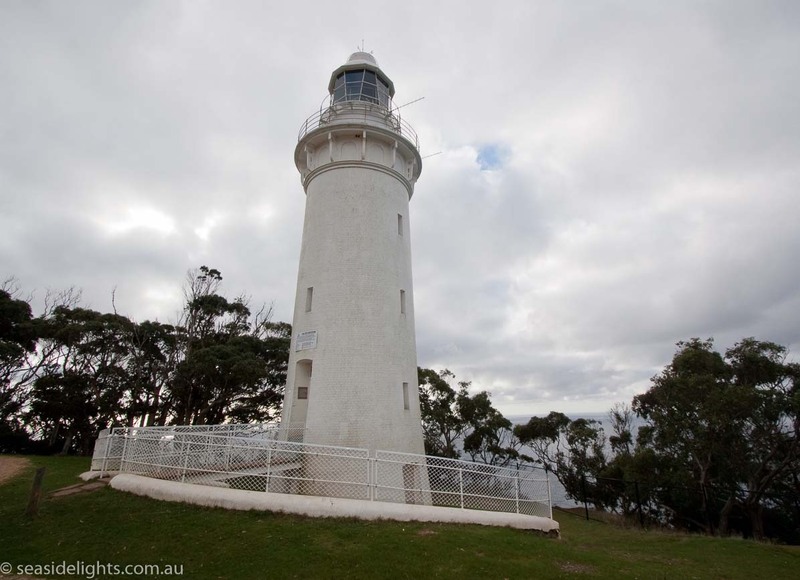 The Table Cape Lighthouse is set on a sheer cliff edge surrounded by scenic farmlands. Its beginning was marked with the tragic death of the headkeeper’s 14 month old son. Table Cape area first settled and developed by the Van Dieman’s Land Company in the 1820’s. A marine board was established for the nearby Port of Wynyard in 1868. The port had grown during the 1850′ to cope with the burgeoning timber trade. Mr C.B.M. Fenton, a former mariner, kept a light burning in the front window of his house to guide mariners during the night. 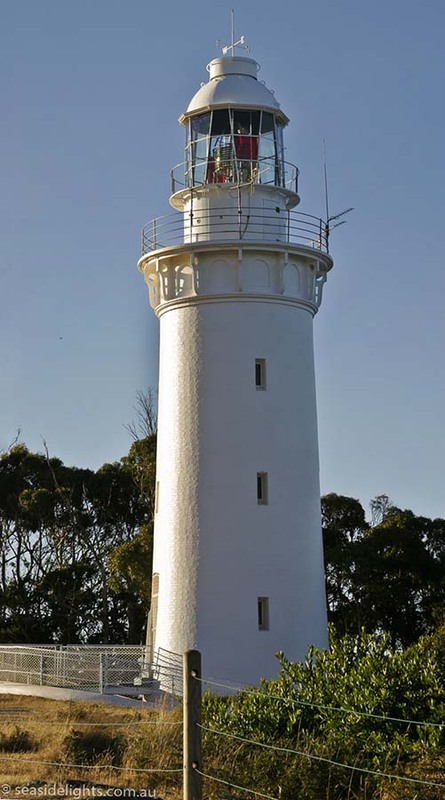 The board established two iron beacons at the mouth of the Inglis River in 1870. These were constructed by Mr William Peart, who later became Harbour Master. 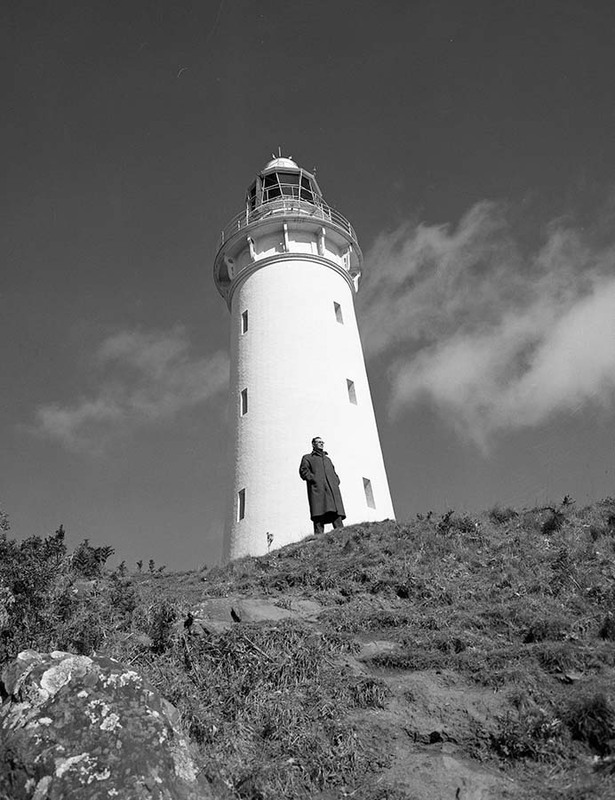 After several shipping incidents in the area, Table Cape was examined by Mr J.C. Climie, a railway engineer, for its suitability for a lighthouse. Table Cape is a spectacular flat topped promontory with a sheer drop to the sea. Construction began and the tower and cottages were completed and in service in 1888. The tower was constructed of brick then, painted white. 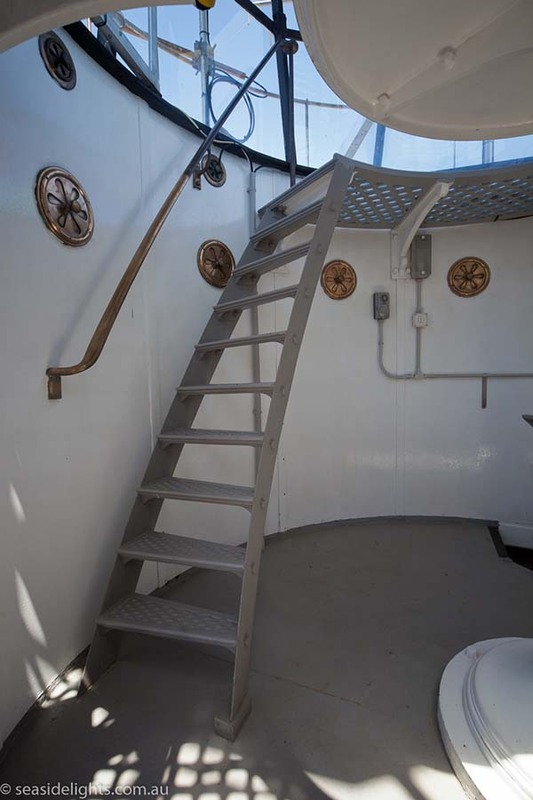 It has a circular steel stairway and a steel fly-over gangway to the door which is set above the below ground level base. The keeper’s cottages were built of stone. The design was by Huckson and Hutchinson of Hobart and built by a local builder, Mr. John Luck. The bricks came from Victoria as ballast. Materials were brought to the site, from Wynyard 7 kilometres to the south, by bullock wagon. Less than three weeks after the opening of the light the headkeeper’s son, Bertie died at the age of 14 months. The cause is not known, but it is the cause of a sad entry in the lighthouse log book. “Wind south. A strong breeze and misty weather. Employed in the lighthouse and cleaning up about station. At 5.10 p.m. The undertaker struggled up from Wynyard on horse back with the small casket and after consultation with the clergy recommended that Bertie be buried near the lighthouse were his family could tend to his grave. He was placed in a grave marked by a fuchsia bush. The bush has long since disappeared, but locals who knew the place have recently constructed a memorial. The light was originally powered by an oil burner and had to be manually tendered. “The lamp had to be lit every day, as soon as the sun dipped into the sea, and it had to be kept alight all the time until the sun rose again. There were always three of them as I remember it, and they each took a turn to watch the light. They used a special oil called mineral colza, which used to be carted up in big drums by bullock wagon. 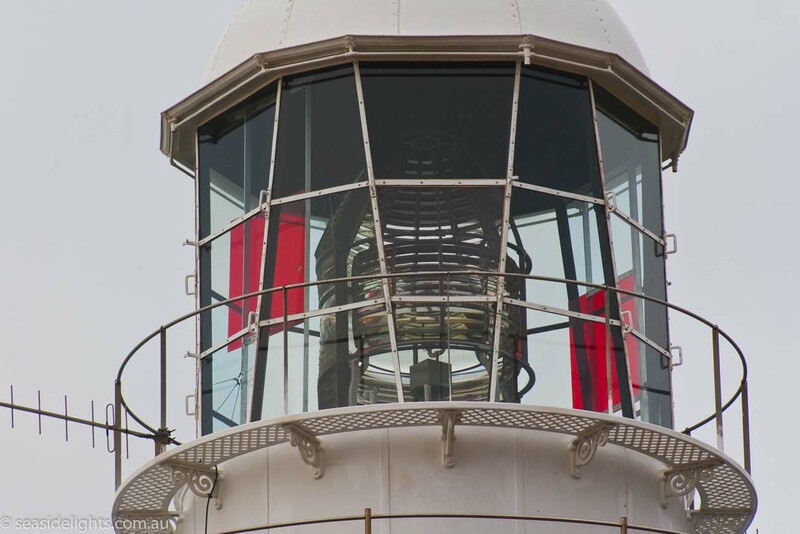 He went on to state that by day, the keepers used to pull heavy curtains round the light house windows, to protect the reflecting lenses from damage by the sun. The light was converted to vapourised kerosene in around 1913. At this time the manning was reduced from three to two keepers. 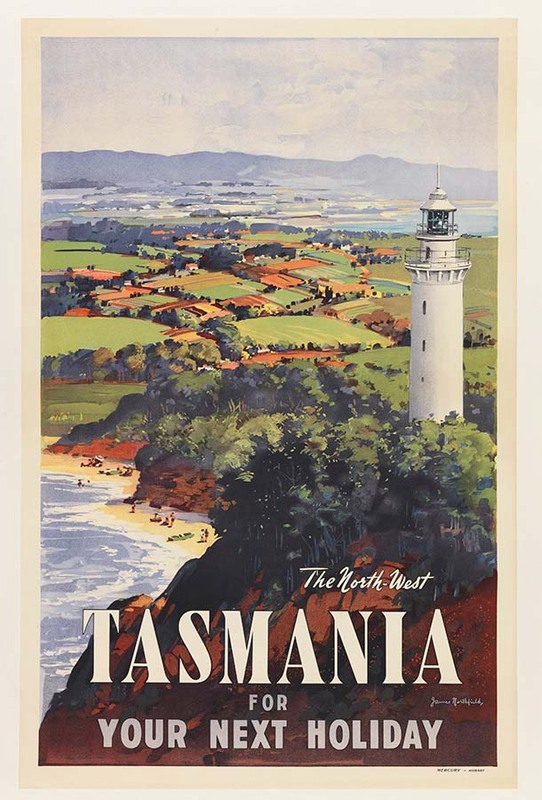 Converted to automatic acetylene operation in 1920, the lightkeepers were withdrawn in 1923. The cottages were demolished in 1926 due to rapid deterioration. In 1979 major works were undertaken. 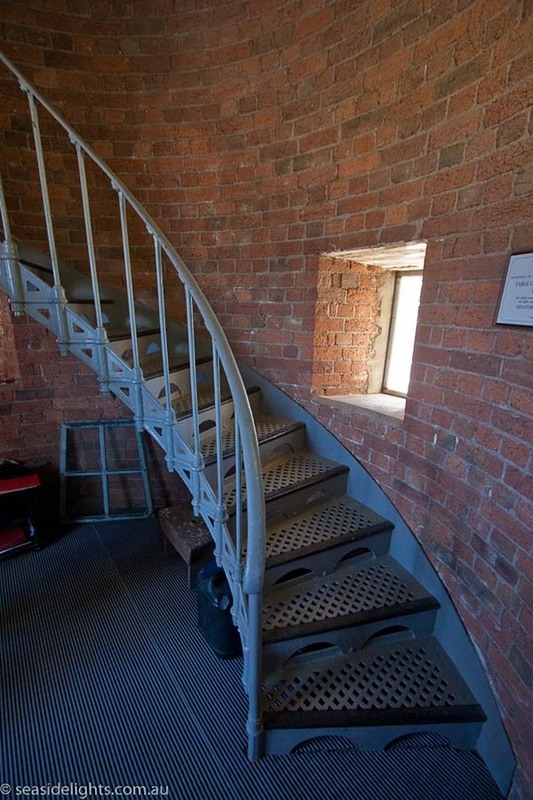 The lantern room was rebuilt and mains electricity was connected with an electric lamp and standby battery bank being installed. Current Optic Chance Bros. 700mm focal radius Catadioptric drum with catadioptric centred reinforcing mirrors. 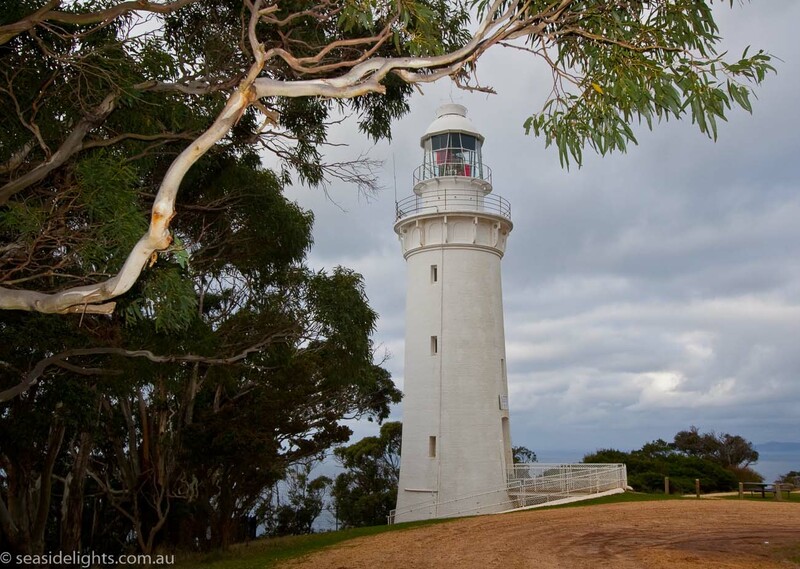 The lighthouse reserve is open to the public. There is a good viewing area about a kilometre to the east. From Wynyard follow the signs north towards the Cape along windy narrow sealed country lanes. The distance is 7 kilometres. Tours are closed for the winter but should be available in September.